Every Easter, Mr. DIY makes a delicious dinner with beef tenderloin as the main dish. This year will be the exception because he'll be working at church and won't get home until about 12:30 or so. Because of this, we'll be having Easter dinner at our favorite restaurant nearby. 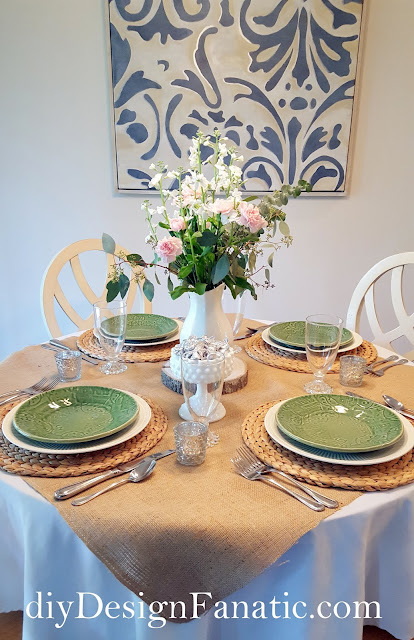 I'll be sharing my favorite Spring and Easter tablescapes from recent years. 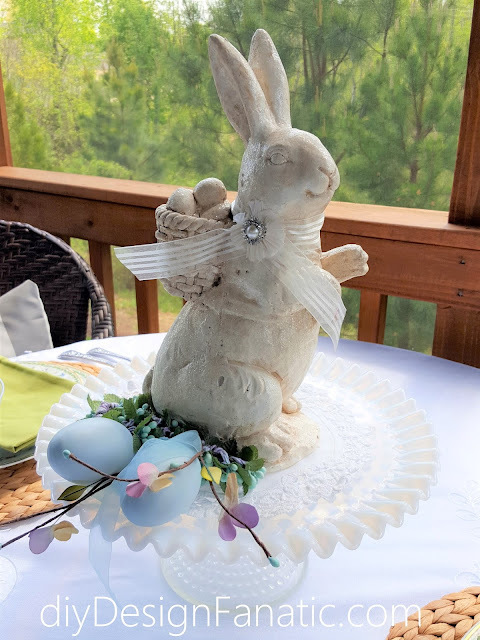 Bunnies are always the centerpiece for our Easter tablescapes. We kept bunnies as pets when I was a child, so they have a special place in my heart. 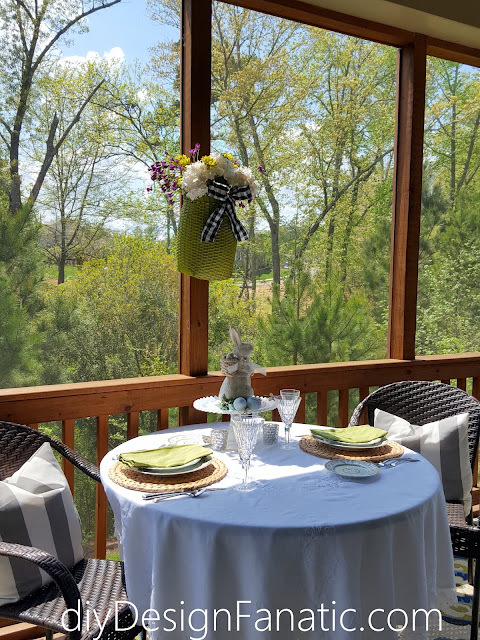 Our screened porch is always a favorite place to eat in the Spring, especially when the trees are greening up beautifully. Your favorite flowers make any table special. Hope you will have a wonderful Easter celebration! So pretty! I love decorating with bunnies and eggs for Easter. I hope you have a lovely holiday! Ahh so many pretty tables! Have a Happy Easter!